Insulin responses to intravenous glucose infusion and glucose utilization during hyperinsulinaemic euglycaemic clamp were determined in a large homogeneous group of 65-year-old male subjects. 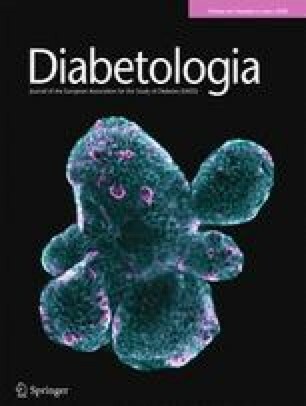 Twenty-eight had untreated Type 2 (non-insulin-dependent) diabetes mellitus and the remaining 44 control subjects had a normal glucose tolerance. Diabetic patients with abdominal obesity displayed peripheral insulin resistance in combination with defective insulin secretion, whereas non-obese diabetic patients showed only a secretory defect. Thus, Type 2 diabetes in obese and non-obese elderly male subjects may take two forms where the cause of hyperglycaemia differs.